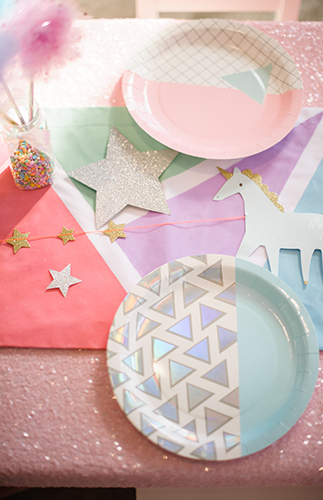 This geometric unicorn birthday party is totally magical! 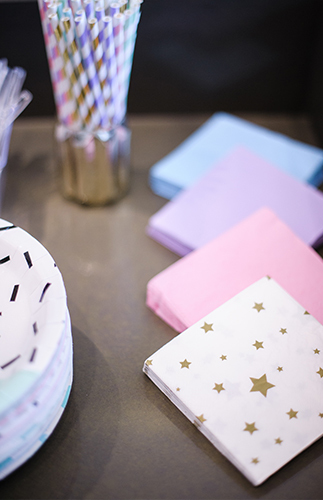 If you can’t tell from this gem birthday party or this tropical baby shower, we LOVE anything geometric! 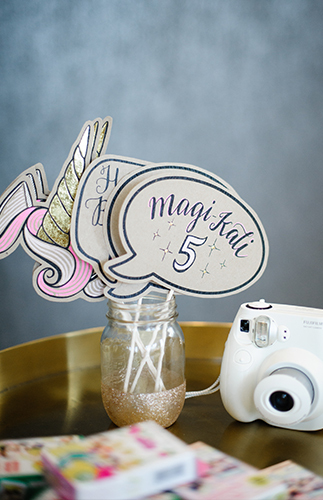 And anything with sparkles ;). 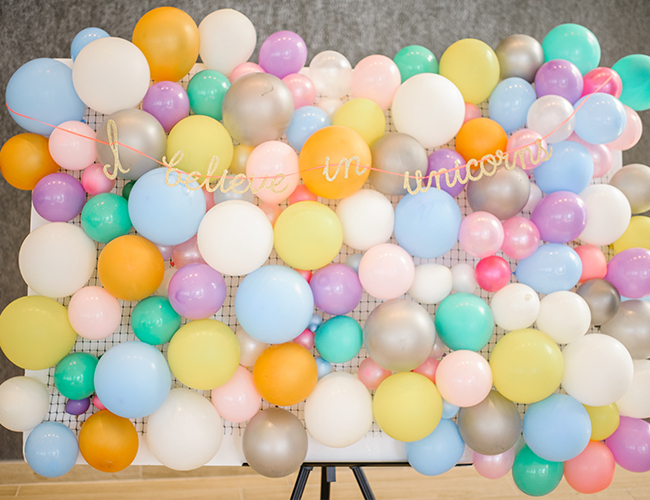 Thankfully, this party has both! 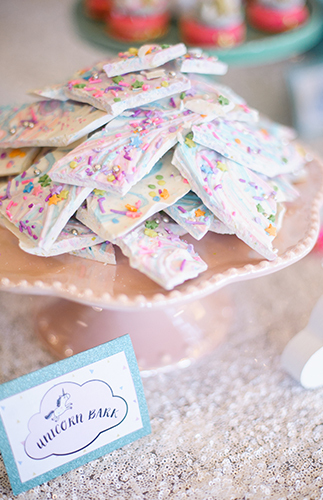 Confetti & Bows styled it to be as fun as can be for 5 year old Kali. 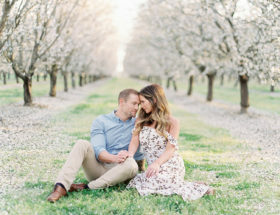 And boy, did they succeed! 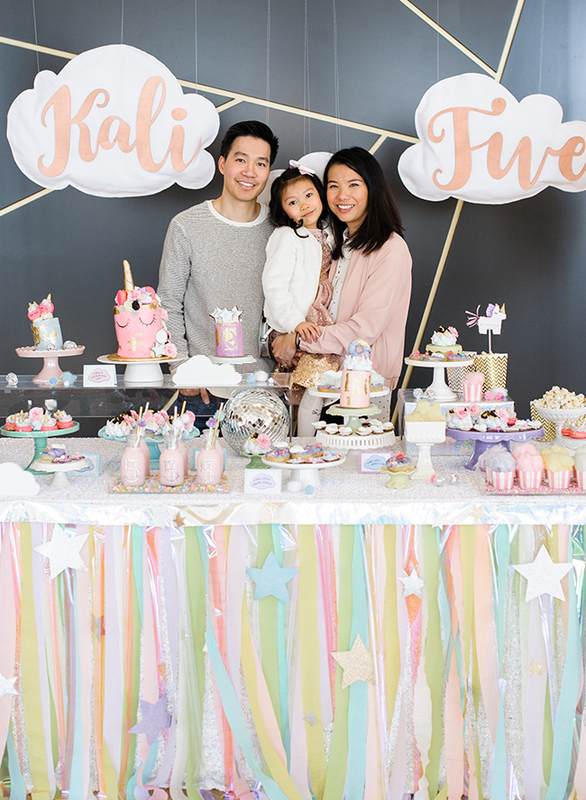 From the pastel pink & purple color palette to the sparkly stars and creative desserts, what kiddo wouldn’t love this celebration! 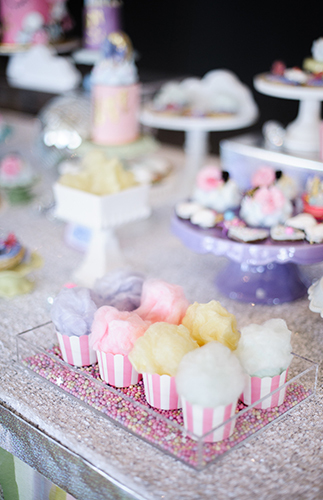 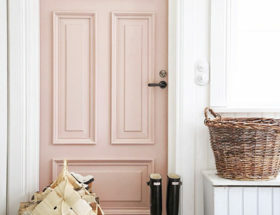 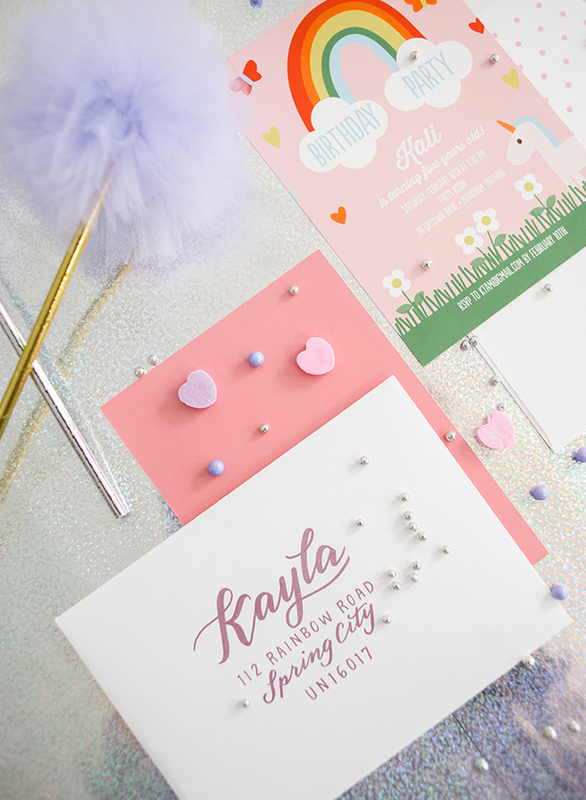 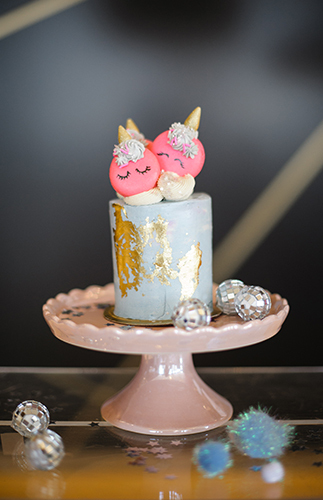 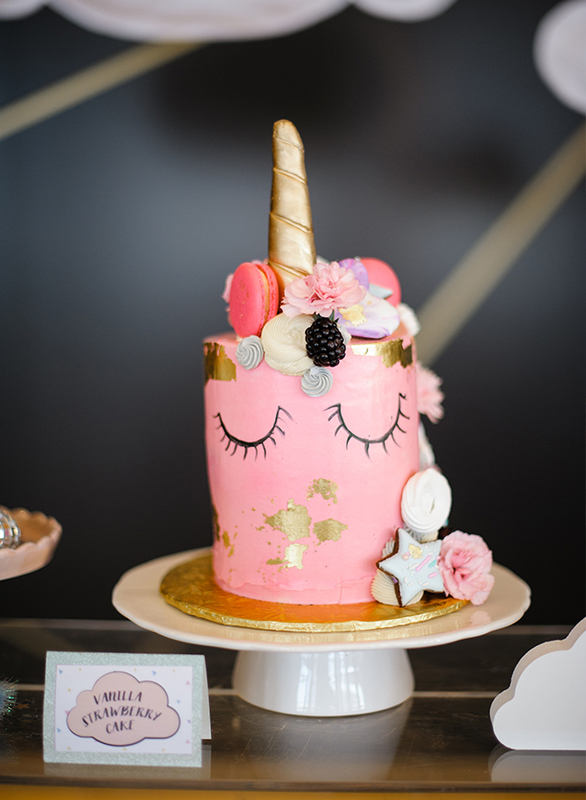 Toni from Confetti & bows says, We had the pleasure of working with an amazing photographer, Heidi Lau of Heidi Lau Photography, to create her daughter’s dreamy and magical unicorn birthday party with some geometric elements. 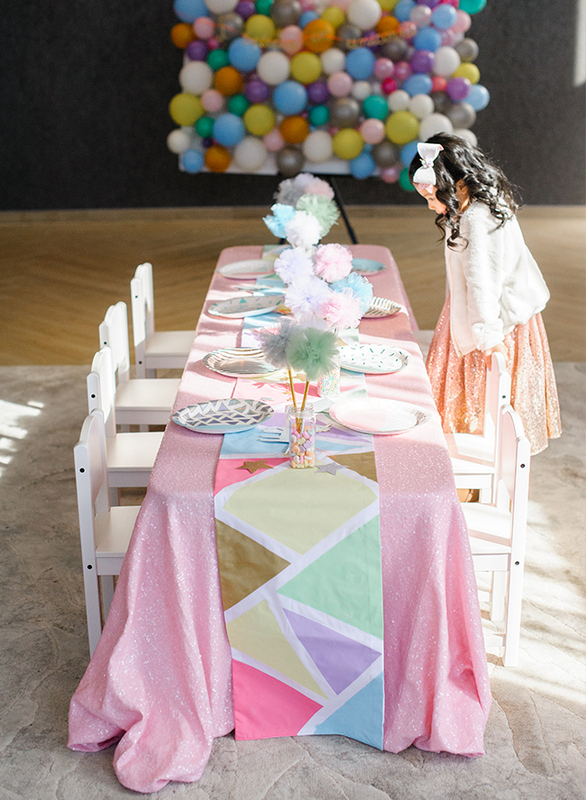 We caught the crafting bug and made the table skirt out of streamers and iridescent cellophane paper. 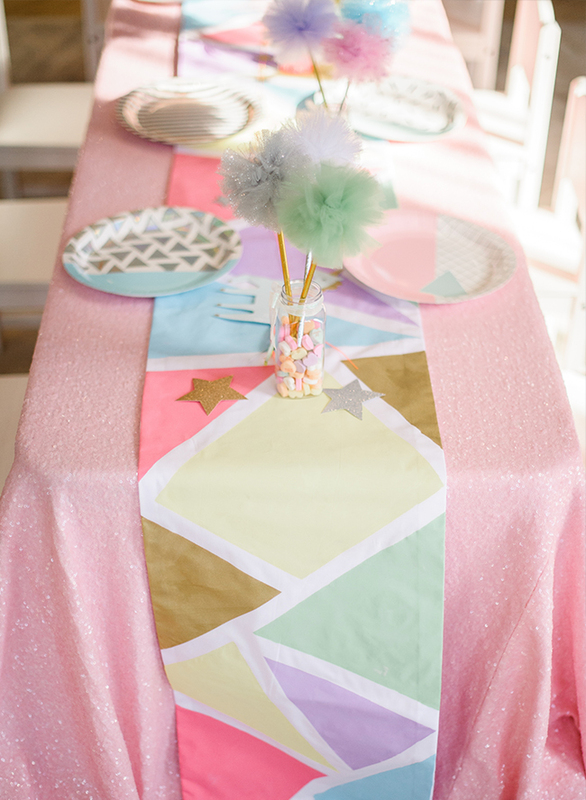 We also painted a pastel geometric table runner for the kids table and added some tulle pom poms for a super girly look. 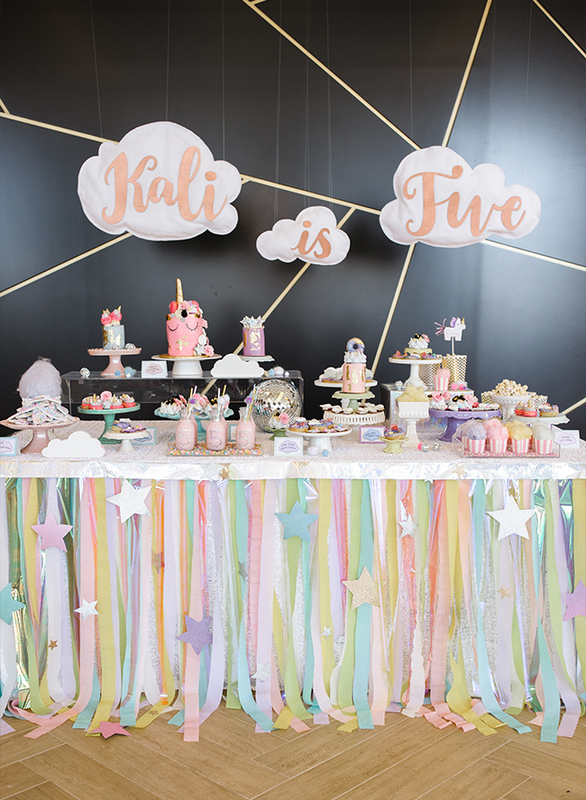 And above all, Kali and her friends got to enjoy the epic unicorn treats from the sweets table! 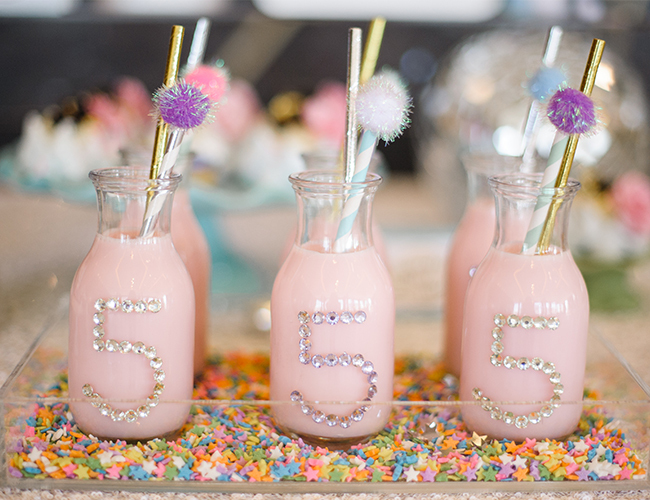 This is the cutest theme!